KITWE: 17/01/2016 – The General Secretary of the United Church of Zambia, the Rev Dr Mulambya-Kabonde unveiled the future of the UCZ in a moving speech. In her presentation, the Rev Dr. Mulambya-Kabonde described the UCZ as the largest protestant Church in Zambia with a combined population of about 3 million Christians in over 1,000 congregations spread across the country. She said the UCZ was engaged in the spreading of the gospel and the holistic ministry of its members and communities through its congregations, health, education and social institutions since the unification and formation of the Church in 1965. Following its unification, the Church inherited the health, education and social institutions but has struggled to support them and to find ways to sustain their infrastructure, programs and services that continue to deteriorate. The Church had to develop an ambitious programme to address this. The UCZ’s purpose is unpacked in its vision statement “The total salvation of humanity, with spiritual restoration and physical wellbeing fully reconciled in Christ the only saviour”. The UCZ believes in the God of justice, whose purpose was revealed and lived through the missionary Christ, Jesus of Nazareth; and understands its mission to be: “committed to spreading the good news of salvation to Zambians and others in fulfilment of Christ’s mission to the world”. The location and identity of the United Church of Zambia not only provides a wide array of strategic opportunities, but also sets out its mission context, of giving the voice to the voiceless by empowering ordinary people in every aspect of human endeavour. Reflecting on the journey: As a time of serious reflection a proper evaluation of the church’s progress along the journey to date is important because 17th January 2016 marked the closing of the first 50 years and the beginning of the second part leading to a centenary. Such an undertaking would enable the church to celebrate the many accomplishments over the period and also to take account of opportunity gaps to be addressed. Rev Dr Mulambya-Kabonde mentioned that five (5) years ago, the UCZ committed itself to strategic objectives and priorities designed to guide the church for the 2011 – 2015 period in pursuit of the mission of God. These included: reforming and strengthening both institutional and organisational capacities of the UCZ for effective and efficient service delivery; mobilisation, distribution and utilising resources prudently at all levels. She also disclosed that for the next strategic plan beginning 2017 and the years that follow, the church envisions a challenging yet an exciting the strategic direction that includes the actualisation of the Missional Congregation concept. This shall deal with life-affirming communities in pluralistic, multi-faith contexts, Gender Based Violence, Defilements, Exploitation, Corruption and other vices, exploring how the church can make common cause with people around it, groups who are committed to promoting fullness of life in that place. The United Church recognises that mission with children and young people was a vital theme in the ministry of Jesus, requiring the church to do likewise, including children and young people not just as beneficiaries but full participants and contributors in God’s mission. On climate change, Rev Dr Mulambya-Kabonde citied from the biblical perspective that creation was radically and thoroughly theocentric because ‘the earth is the Lord’s and all that is in it, the world and those who live in it.’ She reiterated that every area of existence, the historical, the social and the cultural as well as the physical natural area is part of God’s beauty and creation. God is the owner of creation, “for all the world and all that is in it is mine” (Ps. 50:10-12). Paul writes that God’s creation has been corrupted and is “groaning in labour pains,” waiting for redemption and restoration. Being a partner in God’s mission, the church in its missionary task is committed to be a sign of hope (Rom.8:18). She argued that often the dignity of non-humans, such as animals, land, air and water is undermined by elevating humanity above creation. The heavens are telling a story as climate change continues to shout in seasons that are changing, in natural disasters and ecological diseases that threaten the whole existence of life. She acknowledged that much has been said regarding the ecological crisis that threatens the earth and humanity at large and there are facts and figures from different non-governmental organizations to vouch for the severity of the situation. The church is to live out its missionary task in solidarity with the poor earth and also the poor and oppressed. God creates and sustains the world summoning all creatures to just communal life. The United Church of Zambia is being called to sharing the good news, announcing the reign of God, and bearing witness to the mission and message of Jesus of Nazareth, in all its forms, “setting the captives free, restoring sight to the blind, and lifting up the downtrodden”. This good news, once accepted it inspires us to communicate and share this unutterable experience of joy, peace and happiness, to evangelize. Yet in our perspective, we affirm that the communication of the joy that comes from an acceptance of the news that announces a world-creating value system that is devoid of violence, scandalizes, dismantles, undermines and subverts the violent world-creating value system of Empire. 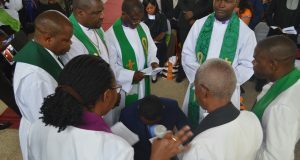 She further called upon the United Church of Zambia to a life of total submission and devotion to God, reflected in public celebration and private communion; and a re-discovering and re-presenting the Jesus of Nazareth whose love for the world and preferential option for the vulnerable led him to the cross. The same Christ summons his followers to surrender and genuine worship. Worship and discipleship are fundamental to the Christian calling and spirituality. Rev Dr Mulambya implored the United Church to be self-reliant. She said, when the United Church Zambia is self-reliant she will create a conducive environment for productive income generating investments. 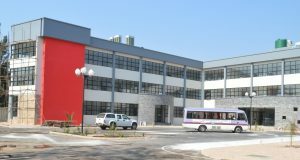 To attain financial sustainability the church shall be required to run business ventures that will include the Diakonia Centre, Mpongwe Bee-keeping Enterprise, through Mission Projects Investment Limited Company (MISPROL) on a commercial and professional basis to maximise on the profits and become the bread basket of the whole church. This shall in turn enable the mission of the Church to flourish in all her programs like creating conductive learning environment, health delivery, and carry out community out programs especially among the poor of the poorest. 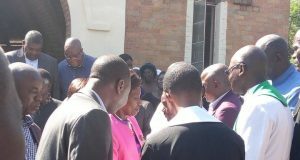 She therefore called upon the United Church of Zambia to continue to be a Church that will remain relevant building on the Spirit that the Church was founded on (commitment to Jesus Christ’s prayer in John 17: 21). The Church shall continue to strive by God’s grace to do the will of the owner of the mission who is Jesus Christ.